Добро пожаловать в кулинарный календарь — наше гурман-путешествие по временам года. Позвольте нам вдохновить вас. «Чайный концерт» в уникальной атмосфере, романтический ужин при свечах или Новый год в Гейдельберге — в кулинарном календаре вы наверняка найдете событие по своему вкусу. Наш начальник гастрономического отдела Инго Бинц и его компетентная команда будут рады видеть вас среди гостей «Недель деликатесов» 2019 года и других мероприятий. Побалуйте себя яркими кулинарными впечатлениями в отеле Der Europäische Hof Heidelberg. Delicate consumtion in our restaurant „Kurfürstenstube“. +49 (0)6221 515-511/-512 or E-Mail: f-b@europaeischerhof.com. In cooperation with the international music festival “Heidelberger Frühling”, two Tea-Time-Concerts will take place exclusively for you. Young artists will accompany you with their musical skills. 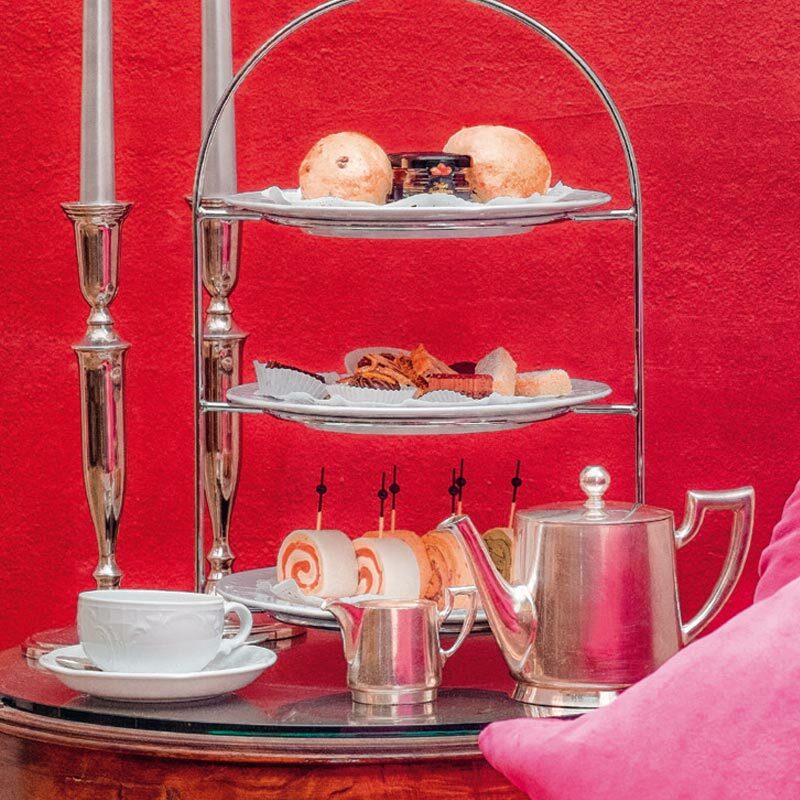 Indulge for a Sunday afternoon in our cosy atmosphere and enjoy tea biscuits, sandwiches, shortbread fingers, scones & clotted cream, fruit bread and of course tea, but also coffee, as well as further delicacies. The tickets for the concerts are only available in the regular advance ticket sales of the Heidelberger Frühling. Enjoy a special fish menu on this “silent bank holiday”. 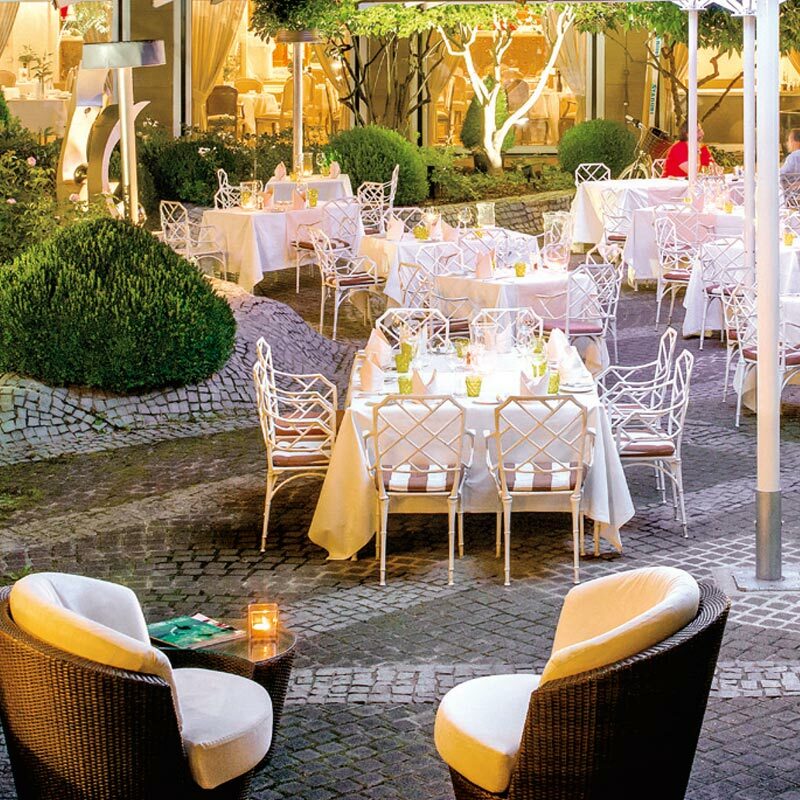 Let us spoil you in a stylish atmosphere in our Fine Dining restaurant Kurfürstenstube. We are serving our Good Friday’s fish menu as 3-course or 4-course menu. Visit us with your family and friends for our culinary Easter Brunch. Our cuisine team will surprise you with many refined dishes. Children up to the age of 10 will be our guests. Let us spoil you traditionally in our Kurfürstenstube on Easter Sunday and Easter Monday. Our master chef has created seasonal menus with regional specialties for you. Invite your “World’s best mum” to a festive menu in the stylish atmosphere of our Kurfürstenstube. Surely a special way to say “thank you”. For this day, our Chef has created an extraordinary menu. We are looking forward to inviting every mother to a welcome aperitif. It’s all about asparagus at this year’s Whitsun Brunch. Enjoy our generous selection of starters, various main courses, soups and dessert specialties. As much as you like! Per person 85 Euro incl. aperitif, select wines, beer, coffee, soft drinks and live piano music. Take a seat in our Mediterranean urban oasis. We serve tasty summer dishes and daily specials, and are open every day. Our summer menu also has various light surprises waiting for you. Regional specialities fresh from the market and homemade ice cream creations also await you. Provided that the weather is nice, we offer our Barbecue in our secluded garden every Friday from 6:30 until 10 pm, where you may choose from delicious Barbecue specialities, salads, various side dishes and dips. Celebrate the last evening in the Kurfürstenstube before the summer break with us. Take a look behind the scenes and experience live how our chef and his team create delicious treats. DJ Nico will take care of the right atmosphere with popular hits. A special all-inclusive evening where you won’t only be looking into the cook’s pans, but can also enjoy “Big Bottles”. The 17th gathering with Leimen’s vineyard Adam Müller promises finest culinary delights again this year. Enjoy an excellent seasonal 5-course menu to which 2-3 corresponding wines from Müller’s treasury will be served to each course. The vintners Matthias & Marcus Müller have put together daring combinations with our chef again. Per person 120 Euro incl. aperitif, menu, water, digestif, coffee & music. Can you imagine anything better than spending a relaxed summer evening with friends, good food and drinks and live music? Our master chef turns into a barbecue expert. Enjoy our barbecue specialties and other delights in our secluded garden. DJ Nico will take care of the right atmosphere. Indulge in our cosy atmosphere for a Sunday afternoon while listening to live piano music and enjoying typical Tea Time delights from our own Patisserie. Per person 49 Euro incl. 1 service etagere for two people and tea as much as you like. We recommend a timely reservation. Rum is the perfect companion for a nice cigar. Not only because they are Caribbean relatives, but also because of their history. Look forward to a unique smoking experience. The wide ranges of flavours of rum and cigars are very close and basically never overlap, but underline each other. This creates a unique sensation of taste. Find a unique combination with the help of the cigar expert from Dürninger and our bar chef who will accompany you throughout this evening. Lean back and order your goose comfortably from home. In our goose roasting kitchen we conjure up fresh roast goose for four people daily. With it, we serve potato dumplings, juicy redcurrant cabbage, glazed chestnuts and goose gravy?. We kindly ask for your reservation two days in advance. We are also happy to serve the roast goose in our Fine-Dining-restaurant “Kurfürstenstube”. Do you have a passion for cognac and cigars? Do not miss out on this tasting. We will serve you perfect harmony: Dürninger will introduce to you a variety of cigars while our bartender will serve you unique distillates along with a fine selection of finger food. Let us spoil you on this festive day with our 4-course goose menu in our Fine Dining restaurant Kurfürstenstube. Enjoy select wine specialties from our sommelier. Our chef recommends potato dumplings, red cabbage with black currants, glazed chestnuts, stuffed baked apple and goose gravy. You will find the perfect setting for a successful Christmas party with family, colleagues or business partners at our hotel. Festively decorated premises in combination with delicious Christmas food await you for 135 Euro per person. From 25th November, we will be happy to serve you mulled wine as aperitif in our festively decorated courtyard. We will be glad to advise you on the conception of your event. Christmassy piano music, festively decorated premises and a sophisticated gourmet buffet including aperitif, select wines, beer, coffee and soft drinks – those are the ingredients for a pre-Christmas highlight that will spoil you completely. Treat yourself to a couple of relaxing hours with family and friends. Per person 89 Euro. Children up to the age of 10 will be our guests. Our restaurants are open from noon until 3 pm and from 6:30 pm until 9 pm on Christmas Eve and on Christmas Day and Boxing Day from noon until 3 pm and from 6:30 pm until 11 pm. We will be serving a set Christmas menu in the Kurfürstenstube, the Liselottenstube and in the Chimney Room. Treat yourself to peaceful hours in our festively decorated premises. We recommend a timely reservation. Let the year draw to an end and enjoy an exquisite 6-Course Candlelight Dinner in our elegant and stylish restaurants. Celebrate comfortably from 11 pm in our lobby, in the hotel restaurant or at the hotel bar and toast to the new year. Catchy dance music from DJ Nico awaits you! Reservation necessary.